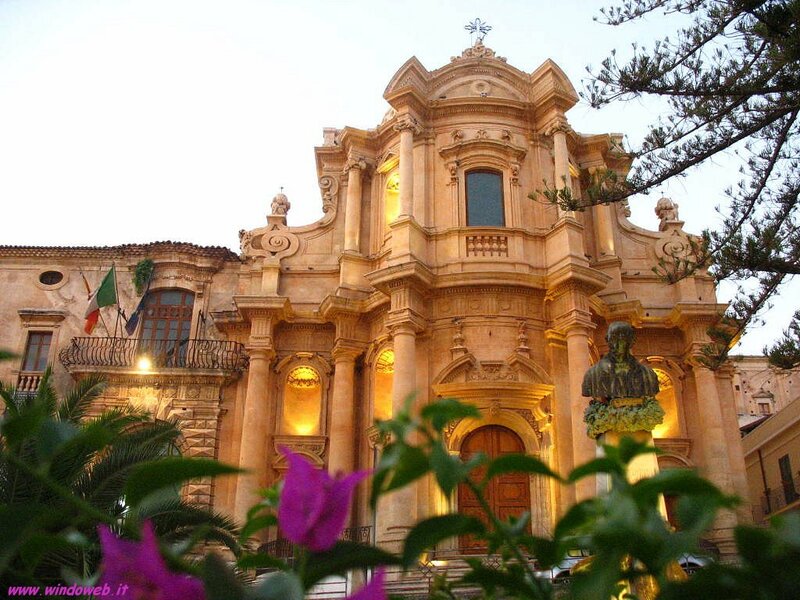 Noto, in the southeastern part of Sicily is one of the "baroque pearls" of the is-land. 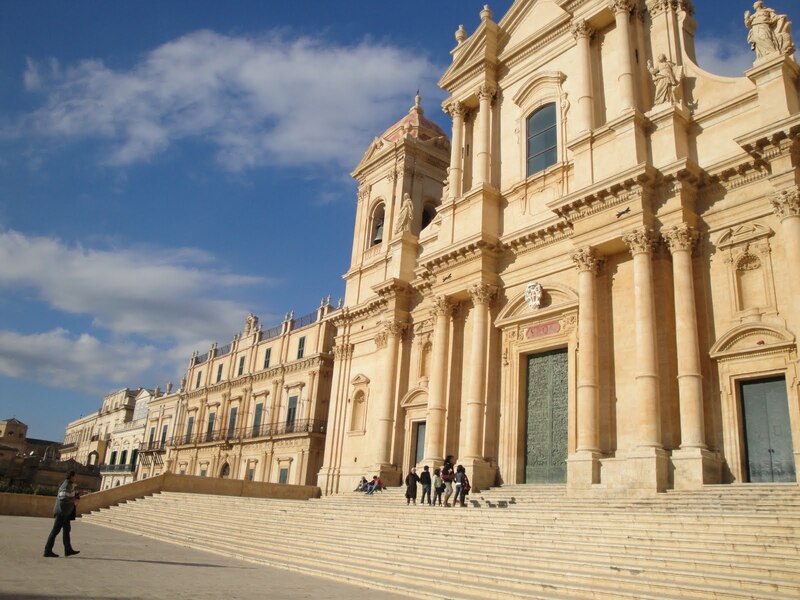 Thanks to the magnificence and the splendor of its churches and its palac-es in the Baroque style, Noto was included by UNESCO as World Heritage sites. The delicacy of its architectural decorations earned her the Appel's "garden of stone". 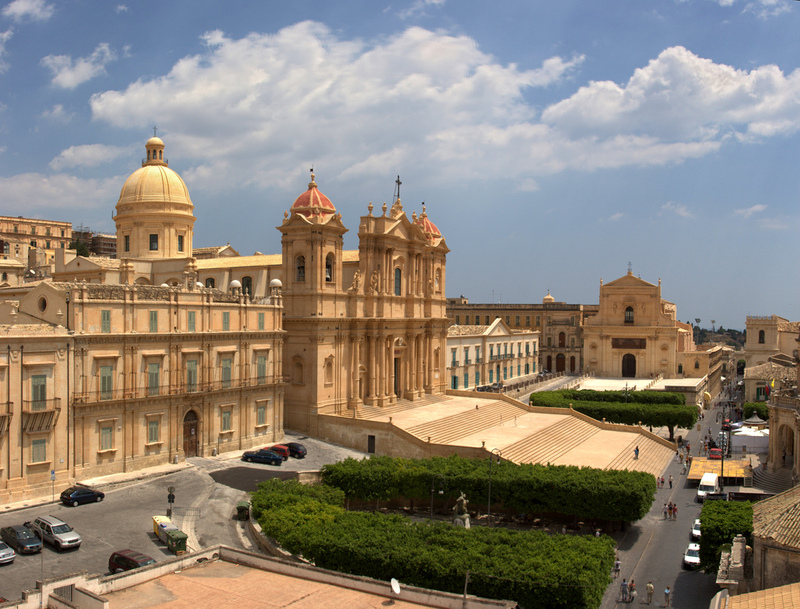 Noto was entirely built from 1693 after a disastrous earthquake had completely destroyed the ancient medieval Noto (now called ancient Noto, an archaeological site located a few kilometers from the modern center) and has for this a very dramatic and monumental appearance.